Our practice originally opened in February of 1996 at The Wanderers Club and moved in 2000 to the old Wanderers Lodge. In September 2002, the practice then moved to the Wanderers Wellness Centre where we are currently located. The Wanderers Wellness Centre has a multidisciplinary group comprising of physiotherapists, psychologists, biokineticists, a speech therapist, a dietician, a podiatrist and an in-house beauty salon. Our physiotherapy practise comprises of a team of three. 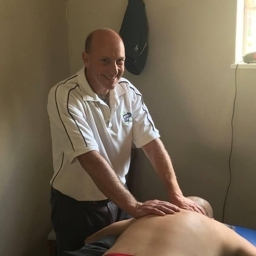 Namely, Ian Hacker, the owner and head Physio whom attained his BSc physiotherapy degree from the University of the Witwatersrand in 1994 and has been practising since. He has vast experience in both practising and lecturing physiotherapy as well as experience in animal physiotherapy. He is still an avid sportsman and competes nationally and internationally in masters powerlifting and track and field athletics. Sean Cressy, our newest member of the team joined the practice in January of 2018. Graduating from the University of the Witwatersrand with his BSc Physiotherapy degree, he then went on to complete his community service year in 2017, in a Rehabilitation Hospital. He too is an avid sportsman with a passion for rugby and mountain biking. Last but not least, the real boss Cecilia Pontsho Maseko, our receptionist and administrative guru. She joined the practice in 2009 and has been running things ever since. Ceci will be the first and last smile you'll see when you visit us, and is the one to contact if ever you need something. You'll find her almost every morning in our gym, working on her fitness. Feel free to visit our facebook page Ian Hacker physiotherpy ( https://www.facebook.com/ianhackerphysiotherapy/ ) to keep up to date with allthe happenings at the practise.